As a homeowner, you want to make sure that your roof stays in good working condition all throughout the year. When you roof suffers damage, or just isn't working like it's supposed to be, the rest of your home can suffer for it. When your home's roof isn't performing its job like it should, the rest of your home is at risk of suffering damage, and the general comfort of your home is lessened overall. Luckily, our team of professional Franklin Square roofing contractors are here to help you with this important aspect of your home. Throughout our years of service, we have had the distinct privilege of providing service to a great number of local customers, and we are honored that they come to us time after time for all of their roofing and exterior remodeling needs. This level of trust that we share with all of our customers is what we strive for as a company. Our customers know that when they hire us, they are getting a team of contractors that stand behind their work 100%. They know that we never leave a job half finished, and that the results are always going to be to their satisfaction, guaranteed. We strive, as a company, to provide our customers with the highest quality roofing repair and roof replacement services in the Franklin Square area, and we don't fall short. 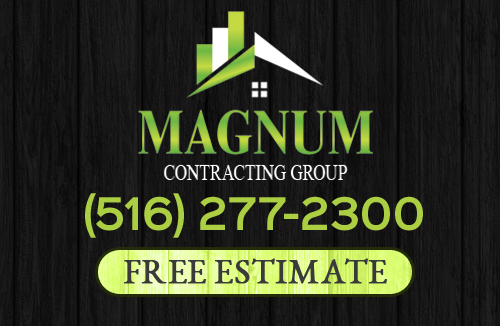 If you are looking for the best roofing contractors in the Franklin Square area, give the professionals at Magnum Contracting Group a call today. Customer satisfaction is always our top priority. Our team of knowledgeable staff is always standing by and ready to answer your calls whether you are looking to schedule work or just have roofing questions in general. Give us a call today. Whether your home's roof has suffered damage in a recent storm, or it is just getting older and showing signs of wear, our team of professional Franklin Square roofing contractors are here to help. When you hire our team of professionals, you can rest assured knowing that you are getting a team that is going to work their absolute hardest to get your roof back to the best condition possible. Your roof is a vital part of protecting your home from the elements. We strive to make sure that by the time we leave, your home has the best protection possible against the weather outside, and will continue to keep you and your family safe and dry now and for a long time to come. If your roof has suffered major damage, or it has just gotten so old that it is no longer cost-effective to invest in the continual repairs it needs, the professionals at Magnum Contracting Group are here to help. 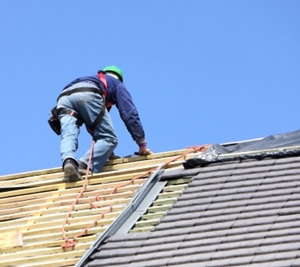 Our team of highly skilled roofing contractors can guide you through every step of this process. We specialize in all of the conventional roofing materials like asphalt shingles, tiles, metal, and flat roofing. In every job, we are completely dedicated to ensuring that your roof installation is done professionally, in a timely manner, and is done in a manner that will allow you to enjoy it for a long time. With our help, you could be able to enjoy your home's new roof for decades to come. If you are looking for a professional Franklin Square roofing contractor then please call 516-277-2300 or complete our online request form.